Following the toy and action figure reveals for Solo earlier this week, Lucasfilm has officially announced the book and tie-in novels for Solo: A Star Wars Story (via EW). 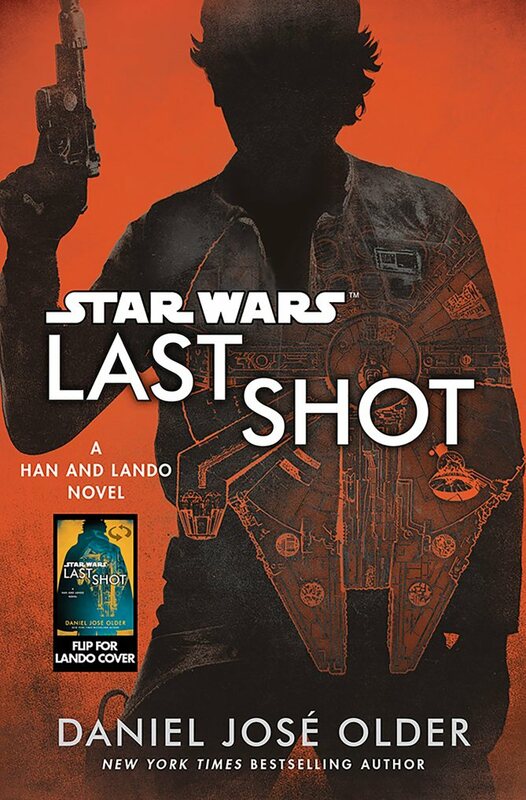 First up is Last Shot, billed as “A Han and Lando Novel” by Daniel José Older. 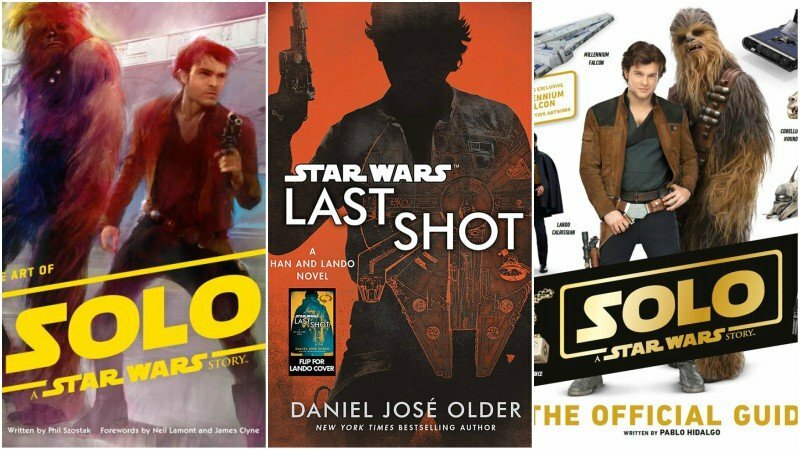 The book will take place in three distinct periods in the life of the two scoundrels including before the events of Solo: A Star Wars Story, another section between the events of Solo and Star Wars: Episode IV including the character Sana Starros (who claimed to be married to Solo in the pages of Marvel comics), and finally post-Return of the Jedi with appearances by Han, Leia, Lando, and a very young Ben Solo. The novel features a two-sided cover featuring Han on one side and Lando on the other, plus a convention exclusive variant of the cover with Chewbacca on one side and new droid L3-37 on the other. Also revealed is the Solo: The Official Guide by Lucasfilm story group member Pablo Hidalgo, The Moviemaking Magic of Star Wars: Creatures + Aliens by Mark Salisbury, a new Lando comic book mini-series, The Art of Solo by Phil Szostak, and a YA novel Most Wanted by Rae Carson telling the story of Han and Qi’ra as teenagers on Corellia. Check out all of the cover art in the gallery below! Solo: A Star Wars Story features Hail, Caesar‘s Alden Ehrenreich as Han, with Atlanta‘s Donald Glover as Lando Calrissian and The Force Awakens‘ Joonas Suotamo as Chewbacca. Woody Harrelson is playing Han’s mentor, a man by the name of Beckett, while Game of Thrones‘ Emilia Clarke, Westworld‘s Thandie Newton, Avengers‘ Paul Bettany, and Fleabag‘s Phoebe Waller-Bridge also star. The film arrives in theaters on May 25.